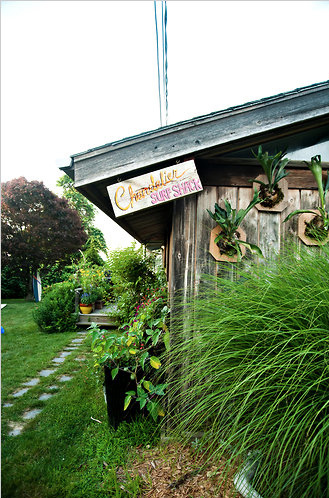 Plants that look like stag horns on the outside of the shack set the tone before you even walk through the door. 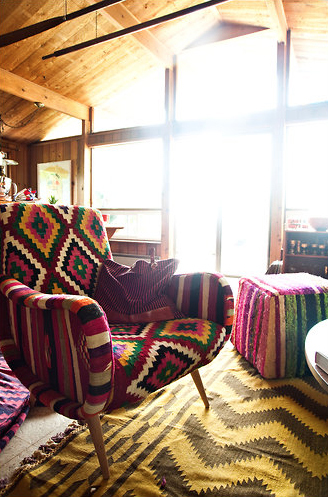 This chair is from Anthropolgoie and the Navjo rugs from a flea market â see what I meant the other day when I was banging on about how you can get away with lots of different patterns. 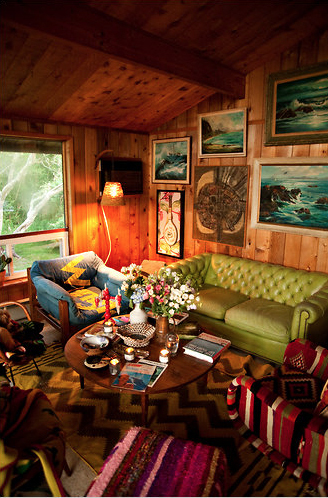 Sweet, cosy and snug – perfect for a shack. 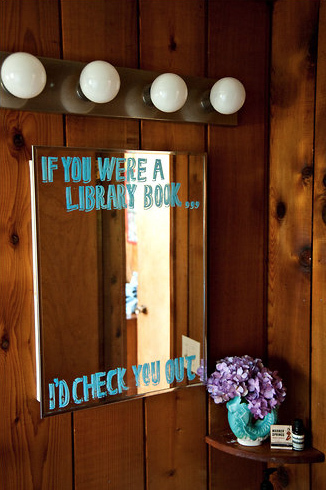 Pick up lines are painted on bathroom mirrors – which I am kind of loving. 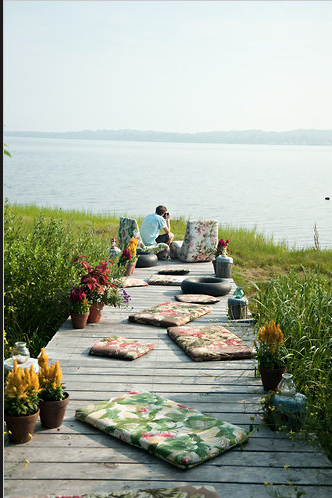 Finally the sweetest bit – theÂ outside dock,Vitra chairs and foam pillows covered in Hawaiian shirt fabric.